By this point, it’s beyond clear what Bruce Springsteen thinks of President Donald Trump. Not only did The Boss play a secret show for Barack Obama and his staff in the waning days of that administration, he’s gone on record saying that President Trump is a “moron,” that his promises to the American working class constitute a “con job,” and that he felt a mix of disgust and fear before Trump took the oath of office. Now, Springsteen has added yet another soundbite to the pile. 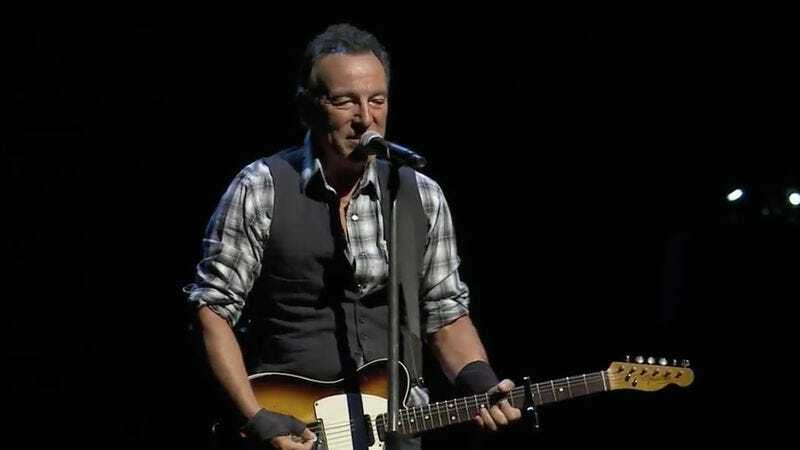 At a concert in Adelaide, Australia he addressed Trump’s ”Muslim ban,” calling it “anti-democratic and fundamentally un-American.” In the video accompanying his tweet, Springsteen expresses solidarity with those that protested over the weekend, nothing that America is ”a nation of immigrants” before launching into “American Land” from 2012’s Wrecking Ball.